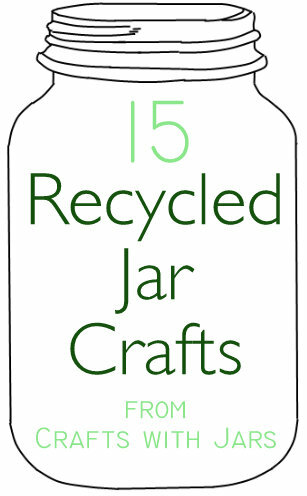 I have 15 recycled jar crafts for you today. Jars are everywhere. Save up those empty pickle jars and make something amazing. These 15 ideas will have you hunting down jars from your family and friends. Be careful -- you might just fill up your home with amazing creations. Thanks for featuring my pastel painted jars! This is a fabulous round-up! I attempted to fix it Mechelle. Sorry I don't know what the issue is but the code keeps breaking.